Republican State Sen. Michael Williams was accused of lying to Georgia authorities about his whereabouts when he reported that his campaign office in Gainesville was burglarized in May. Williams reportedly said he was at home when around $ 300,000-worth of computer servers were allegedly stolen. 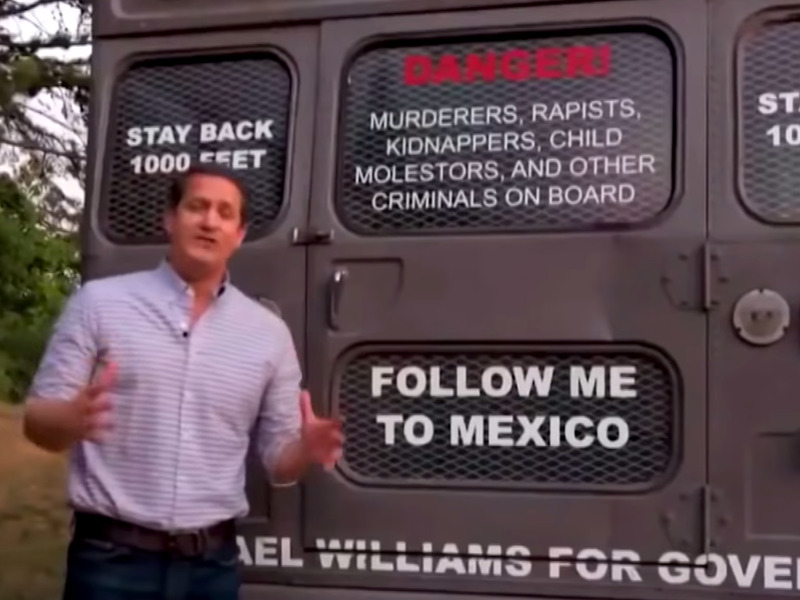 Williams made headlines during his campaign for governor in Georgia by driving a bus dubbed the “deportation bus,” the outside of which was covered with controversial messages. The Georgia Republican state senator who steered his controversial campaign for governor with a “deportation bus” was jailed Wednesday after he was indicted on insurance-fraud charges and other crimes. Michael Williams turned himself in on Wednesday, according to the Atlanta Journal-Constitution. He is accused of lying to Georgia authorities about his whereabouts when he reported that his campaign office in Gainesville was burglarized in May.